Home motion sensors such as SafeinHome, can alert you if a family member who lives alone is unusually inactive. En español | Caregiving is increasingly high-tech. Start-ups addressing the health of people 50-plus received $1.3 billion in funding by midyear 2015 alone, according to a recent report. "We have barely scratched the surface of what might be possible," concluded the experts at a 2014 National Alliance for Caregiving roundtable discussion on technological supports for family caregivers. But be aware: "Tech sometimes can reduce caregiver stress and give greater peace of mind. But many products sound better on paper than in practice," says San Francisco geriatrician and tech blogger Leslie Kernisan. Ideally, she says, you want a device that's easy to both set up and use. Get the endorsement of a friend who's tried it, if you can, and look for products that are refundable if they don't work to your liking. Many caregivers already rely on existing technology, like baby monitors in bedrooms or door chimes for Alzheimer's wanderers. Caregivers of people with Alzheimer's disease worry about their loved one wandering away or getting lost. 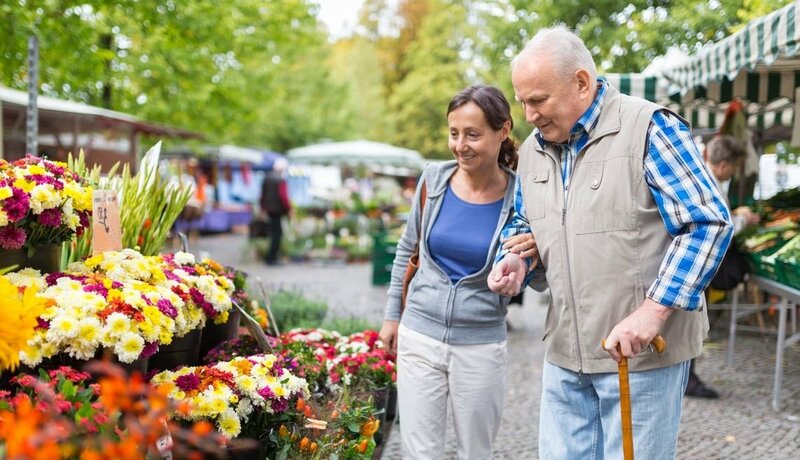 Smartphones contain GPS, but many people with dementia don't carry them, and they may dislike or discard special monitoring jewelry. GPS SmartSoles hide their tracking devices in shoe inserts. Downside: They're pricey ($299 plus fees and a data service plan) and require recharging. Multiple readings taken at home tend to provide a more accurate picture than a single doctor's office check, where "white coat hypertension" can spike numbers. Many caregivers dislike fiddling with smartphone apps that record readings and upload them to doctors. Blip BP by BlipCare is the first wireless blood pressure monitor approved by the Food and Drug Administration. 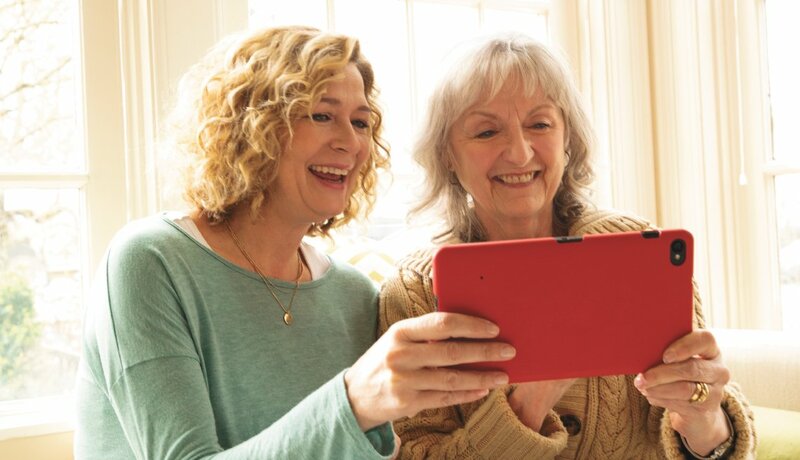 Once the device is connected with a home's Wi-Fi, all readings are automatically uploaded to BlipCare's servers. They can then be viewed online or via an app. There's also a wireless weight scale. Falls often lead to hospitalizations, and they are especially likely to occur at night, when there's a combination of low lighting and poor vision. With the Luna Lights system, when someone gets out of bed, a pressure pad on the bed automatically illuminates small portable lights that create a path to the bathroom. The lights turn off when the person returns to bed. These devices allow wearers to call when they are in distress. 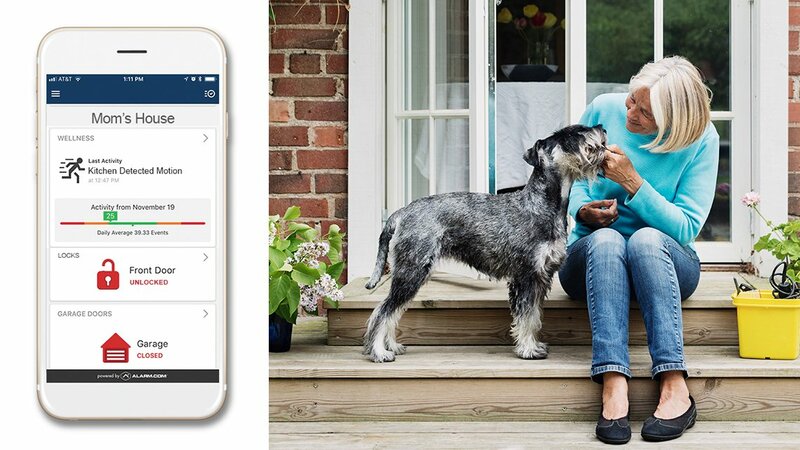 Philips Lifeline with AutoAlert, an updated version of its classic wearable pendant, features an accelerometer that automatically calls for help in the event of a fall, without requiring the user to push a button. AARP's caregiving expert, Amy Goyer, is a fan of the FallGuard Safety Auto Reset Monitor with Floor Mat from the Smart Caregiver Corp. It's a wandering-prevention tool that Goyer uses to monitor her father, who has Alzheimer's. You place the mat by the bed or doorway, and an alarm sounds the moment it's stepped on. She says, "Dad sometimes gets out of bed and thinks he's already in the bathroom, so I need to reach him quickly." Several new systems, such as SafeinHome, can alert you if a family member who lives alone is unusually inactive (though it can't notify you of a fall). It can also assure you about routine activity levels — Mom is out of bed at her usual time, say — via an app or website, and report the indoor temperature. The person you're tracking doesn't have to wear or do anything.